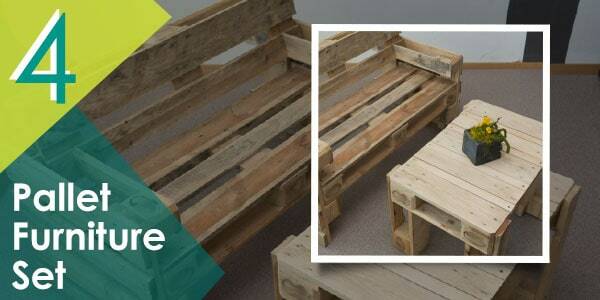 Having a furniture made out of pallet is a sure conversation-starter and instantly adds value and appeal to your home. 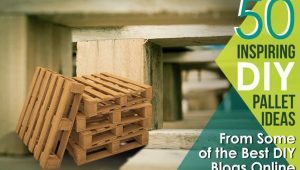 There are many ads online that sell cheap pallets or even give them away for free. There is truth in the saying “one man’s trash is another man’s treasure”. It just needs a little creativity and elbow grease to turn something seemingly useless to a home’s pride and joy. The options are virtually limitless. How about making a DIY box for the best gas bbq you have at home? 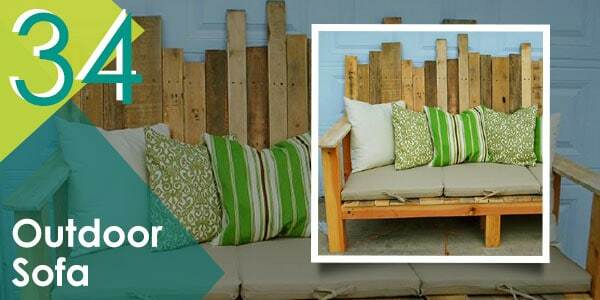 Or recreating your worn-out patio furniture sets or metal garden furniture sets using or a few pieces of pallets? 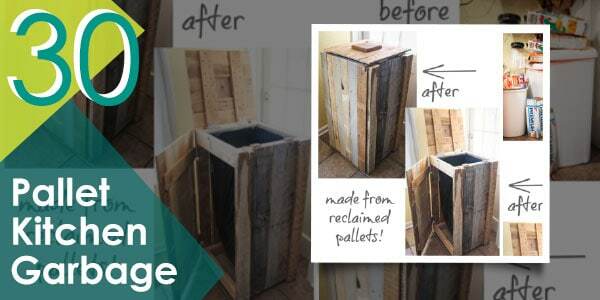 All it takes is a little creativity to turn scrap pallets into useful home pieces. 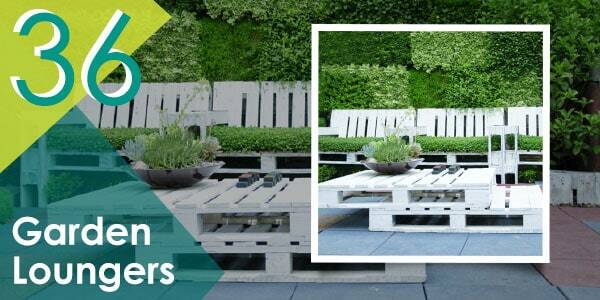 Here are the 50 ideas on how you can make your own DIY pallet project. 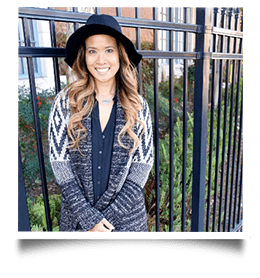 The ideas on the list are from bloggers around the web–which means that you can also do it on your own. One note though, there are pallets that you can use because they have been heat-treated. Those are safe to use. Do not use the ones that have an “MB” stamp on them because they have been treated with methyl bromide which is primarily a pesticide. Check out all the other stamps and understand how they will affect the safety of your pallet project. 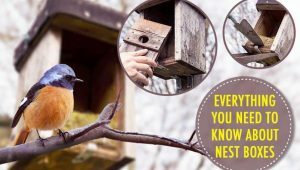 DIY Ready has a handy infographic about this topic at their site. 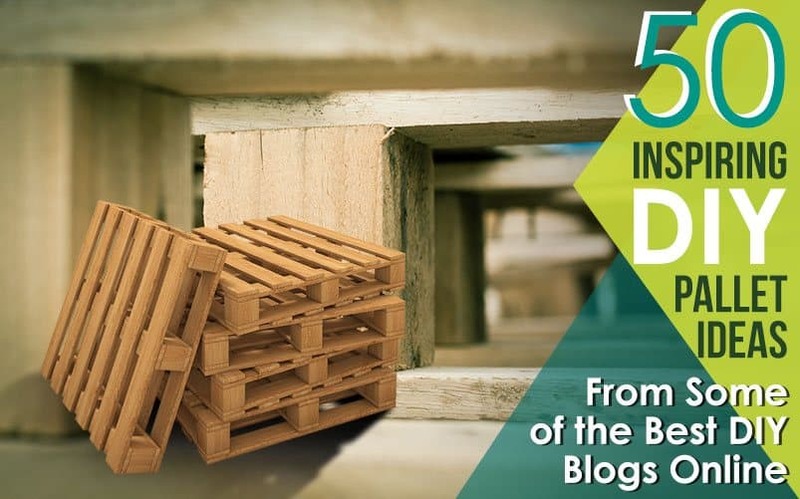 Here’s a video from Savvas Papasavva on how you can dismantle a pallet. Start small if you are a beginner and then challenge your way up. 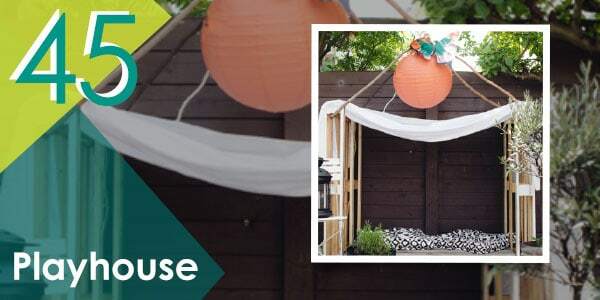 So, if you have a couple or several pallets lying around, take a look at these and have yourself a try at these projects in the coming weekend. Take your DIY to the next level with this sofa with storage. 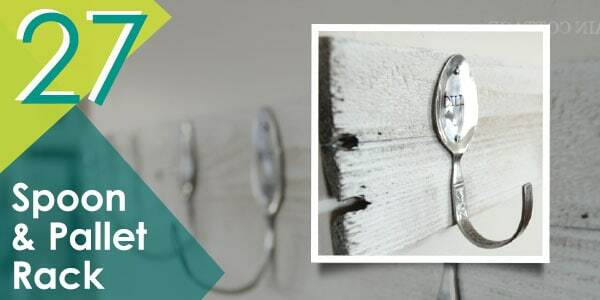 Filippa Malmegård from the ScrapHacker teaches us step by step how to make this sterling project. Here’s a video for another type of bookshelf from the Youtube channel Building on a Budget, a channel dedicated to teaching us to build from pallets. And no, that’s not slightly slender Channing Tatum, he just kinda looks like him. Store your books in a stylish and artistic bookshelf made from pallets. 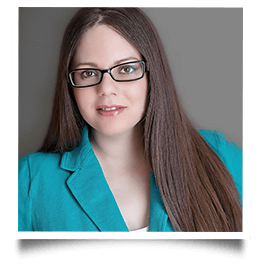 Ana White shows how to do it step by step in her website. Transform any room with a little effort and creativity. 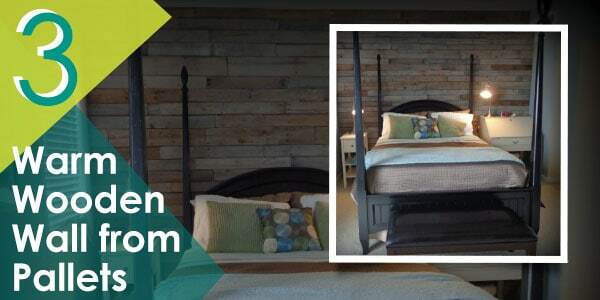 Joan, from The Scavenger Chic, shows us how she changed the look of her room with pallets and her creativity. Get serious with this pallet furniture set idea from JennaBurger.com. It is a very easy project you can finish in as little as 3-4 hours. You save money and get new furniture too! 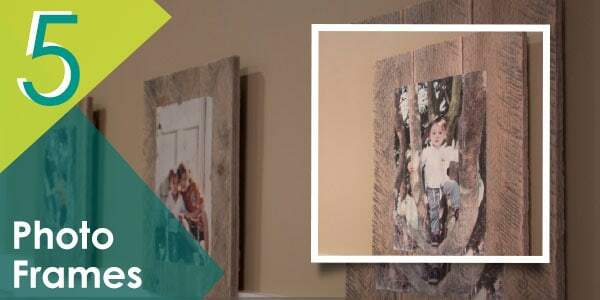 Hang your family portraits creatively with this step-by-step pallet photo frame tutorial by Southern Revivals. This unique and creative way will surely make your photographs memorable. You can get Mod Podge from Amazon.com. Need a coffee table? Check out these instructions on how to build your own from The Wonder Forest. 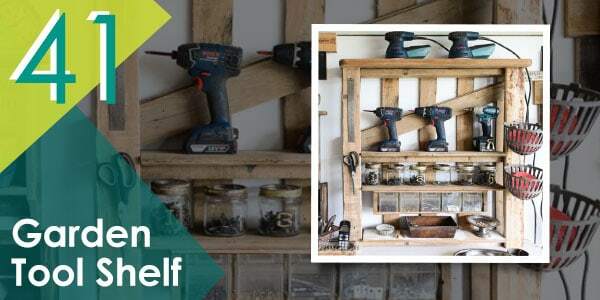 Watch this video from How to Fix It Workshop and see how you can make your shoe rack even with the simplest of tools. 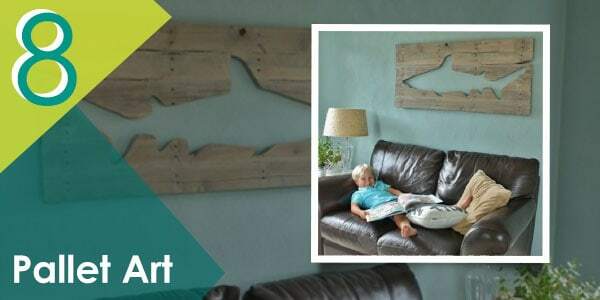 Make the living room come alive with interesting artwork that even the kids can enjoy with this project. This project from Sand and Sisal will inspire you. Though their project did not work out at first, they were resilient, which is why they were able to create this awesome piece of artwork. 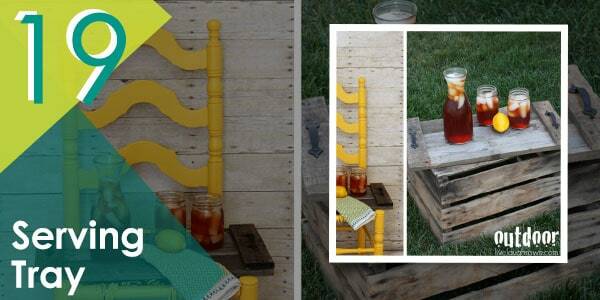 Make your family gatherings more fun and exciting with this DIY pallet project. 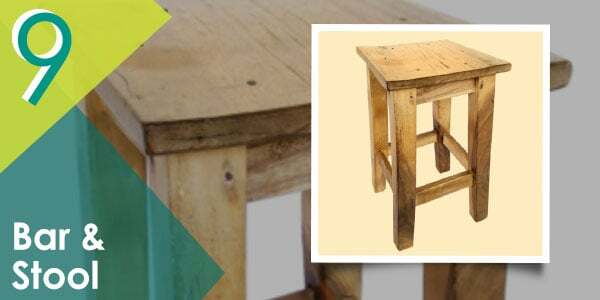 Watch this video from HowToSpecialist to start planning your pallet bar stools. When I saw this project, it put a smile on my face. It seems like there are endless ways to reuse and recycle pallets. @Dianne from Hometalk.com shows us the process to make this environmentally friendly instrument. 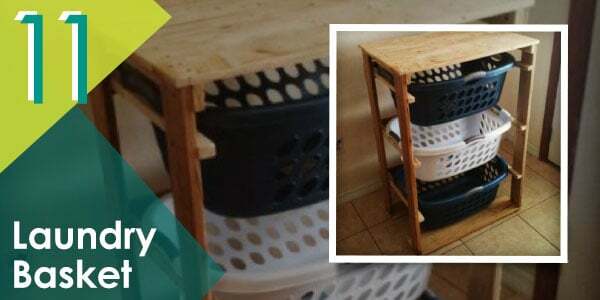 Make the most out of your pallets and build for yourself a laundry basket. 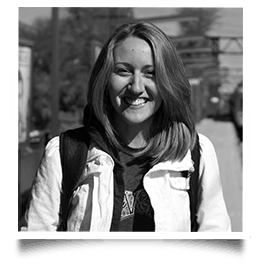 Ana White has your back once again with this project. Who knew coat hangers could be so beautiful. All thanks to pallets and @RuudvandeLooij from Instructables. 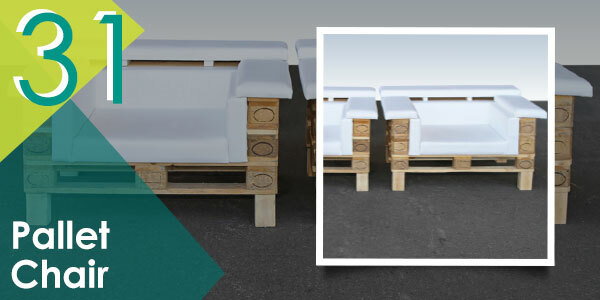 Whether you’re running a bistro or just want this in your room, pallets will open up your imagination for more. Joan from Scavenger Chic once again shows us how she did it. 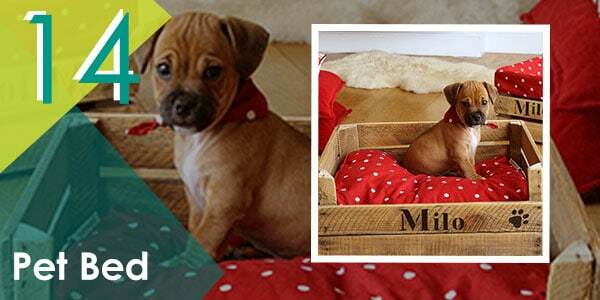 Not only can you make a bed from pallets, you can also put your spin on it. WikiHow shows us how simple it is to make one. 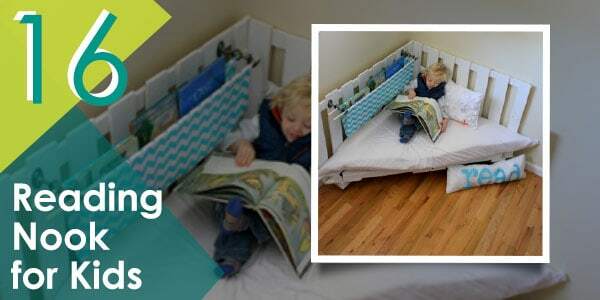 Encourage your child’s interest in reading by making them a nook where they can freely explore the limits of their imagination. 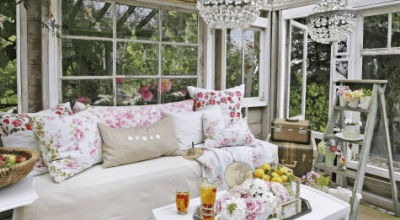 Kojo-Designs has the tutorial on how to make this beautiful addition to your home. 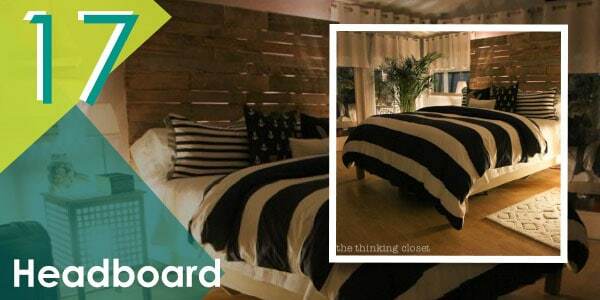 The Thinking Closet also built a massive headboard. 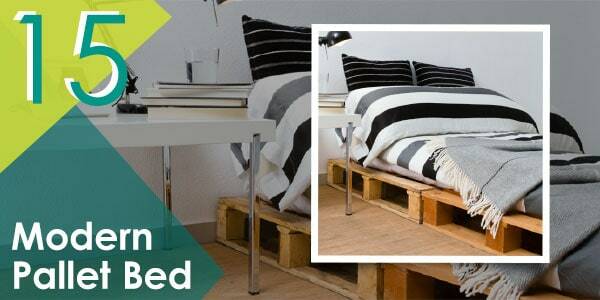 You can’t help but fall head over heels with pallets. 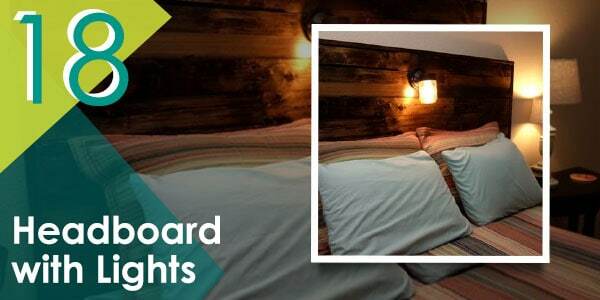 Check out these headboards made with pallets from PalletFurniturePlans.com. 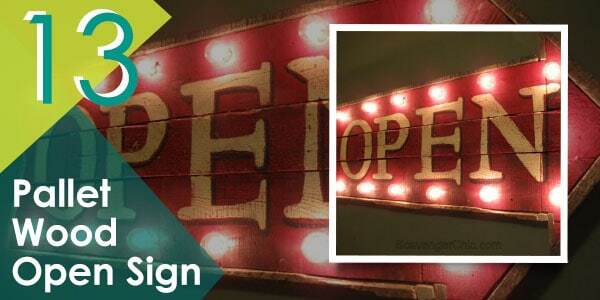 See how the lights add to the ambiance of the room and how it can also add it to yours. Don’t we all need a tray to serve food to our loved ones? Here’s a very simple tutorial on how to make one. Kelly Rowe from Live Laugh Rowe shows us how to do it. Simplicity always goes a long way. 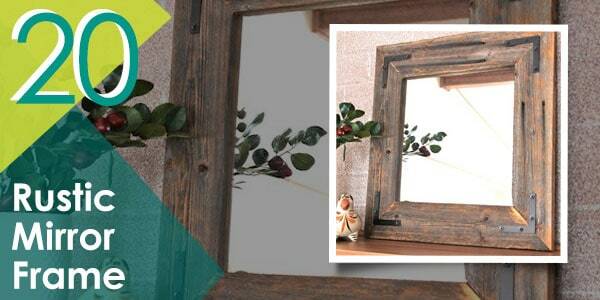 Watch the video to get ideas on from YouTube channel F. Branco on how to start and make a pallet mirror frame. 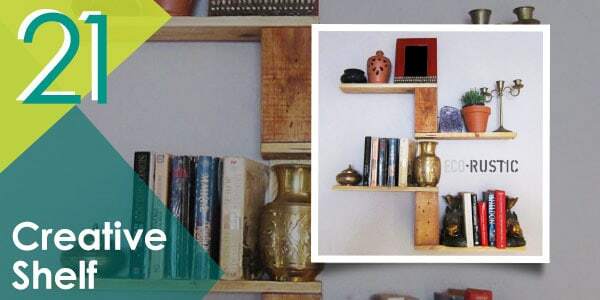 Try this easy to make odd-shaped shelf to fit your style or even just inspire you. This one is also from another Instructables member, @Eco-Rustic, a company that specialises in reclaiming old wood. Make dinners all the more interesting with this project you can finish over the weekend. 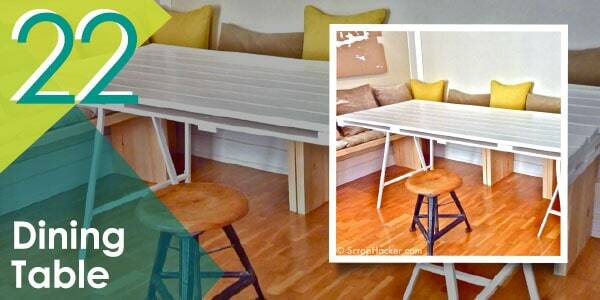 The ScrapHacker is at it again with this DIY table. You can be sure to host a wonderful gala with this one. Match these with your kitchen window and you have a subtle yet striking appeal. 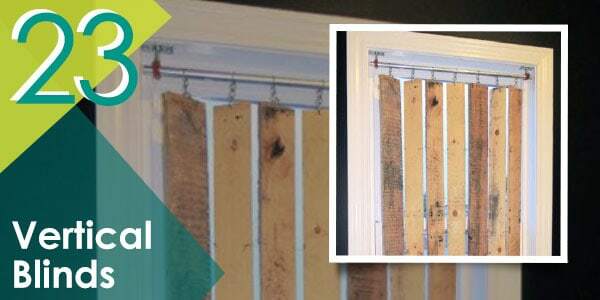 @Humbledtartdept, a member from Instructables teaches us step by step how to make vertical pallet blinds. 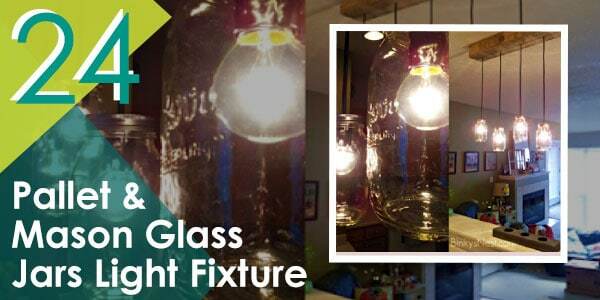 Add flavour to your evening tryst with this rustic and cool light fixture. Get inspired by twenty8divine.com (formerly BinkysNest.com) and get yourself a rustic and ambient chandelier without the cost! Why buy a container when you can make one? 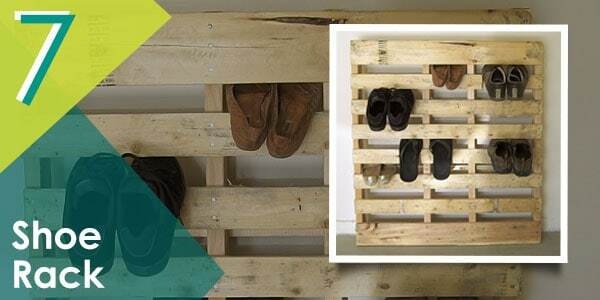 Get started with this simple and easy pallet project. The girls over at The Frugal Girls made this instructions and tutorial over at their site for your reference. If you like your wine, then you’ll love them all the more with this sleek and beautiful pallet wine rack from Virginia Sweet Pea.com. 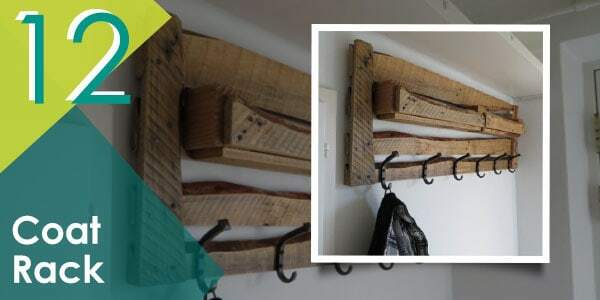 Hang your kitchen stuff with this handy and easy to make kitchen rack. Shayna of The Woodgrain Cottage built this and showed us how to do it and a couple more reminders on safety and what to and not to do when making this project. 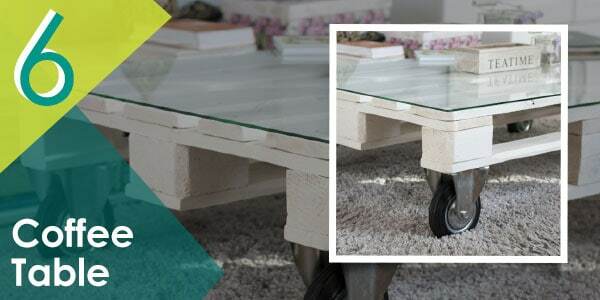 Don’t just make stuff from pallets, try a variety of materials with your DIY pallet project. Meredith from unOriginalmom.com teaches us how. 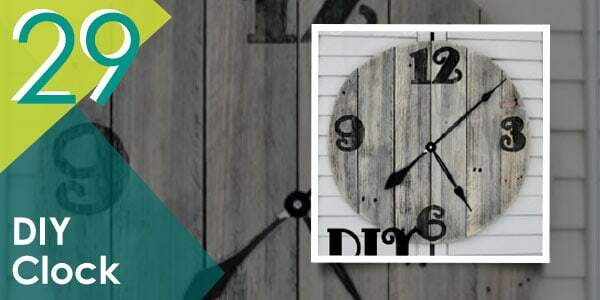 Spice up your home and keep track of time with this amazing pallet clock. 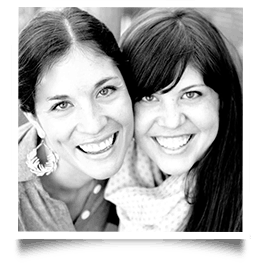 This project is from All Things Heart & Home and Robin did this project on her own. 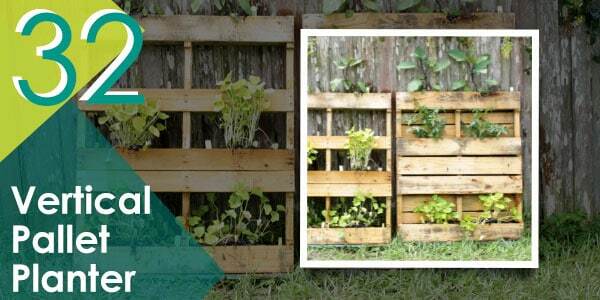 This simple yet practical use of pallets will get you started and inspired to do more. This project was done by Lauren from The Thinking Closet, a blog site about family, creativity, and everything about crafts. Augment the look of your garden with this awesome and themed garden chair from Funky Junk Interiors. Check out their website for other DIY ideas you can do. You can also see more than a few projects from them on this list so watch out for that. Setup your garden plants in a unique and interesting way. 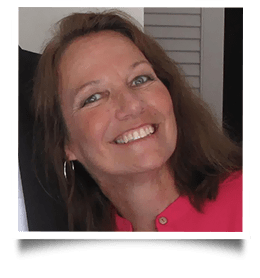 Here’s a Youtube video of how to do it by Janie Pendelton. 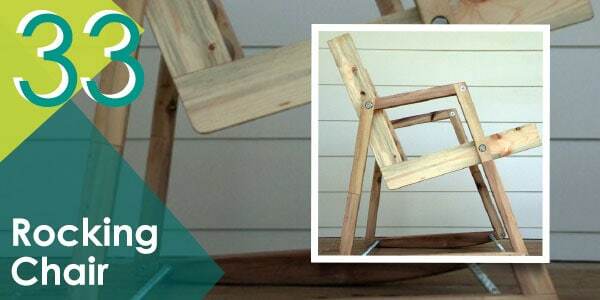 @wholman teaches us how to rock with this DIY rocking chair over at Instructables. It was featured in their project 20k House, a project in the US that makes houses under $20k. Maybe sometime in the past, you’ve thought of getting a stylish sofa but haven’t had the budget to get one, but now you can build one thanks to the folks over at The Ironstone Nest. 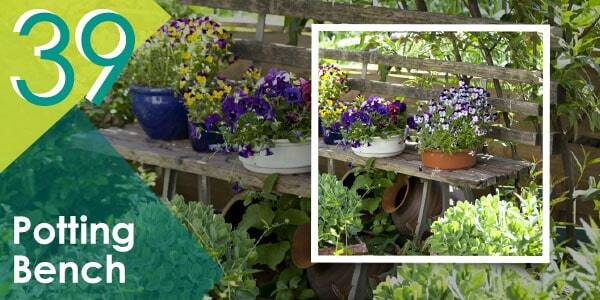 Grow your vegetables, herbs, and other small plants in this container. @barton34, an Instructables member, teaches us how to do it on the link. 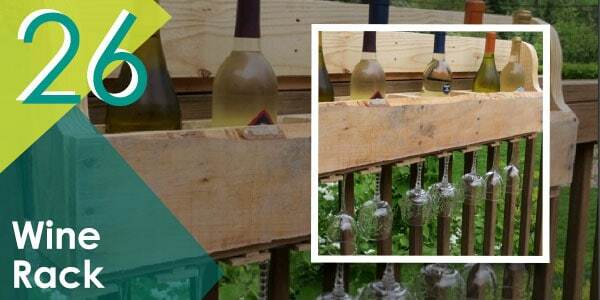 Try this easy pallet project out so that when summer comes, you’ll be ready to party! 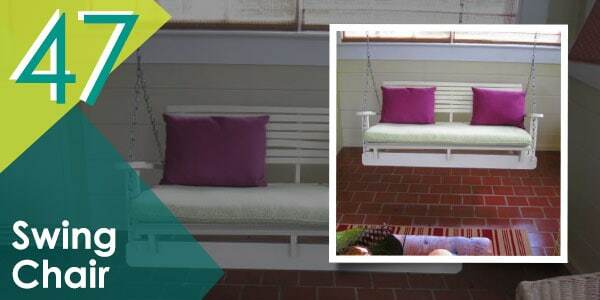 Instructables member @shoestringpavilion shows us how to make garden lounges the easy way. 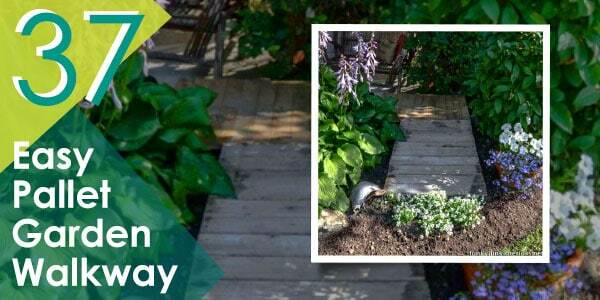 Walk tall with this garden walkway idea. This is another practical idea from Funky Junk Interiors. 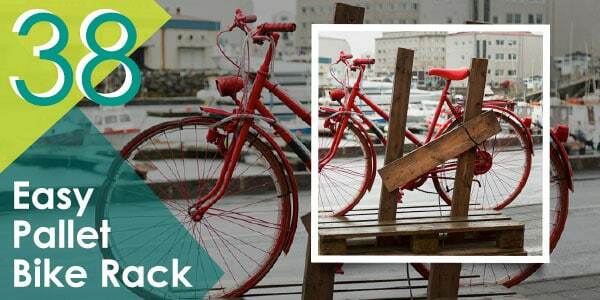 Need a bike rack? Pallets got your back. 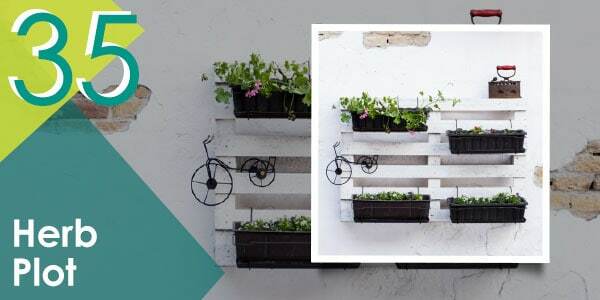 Instructables member @maudlin shows us how to store your bikes pallet style the easy way. 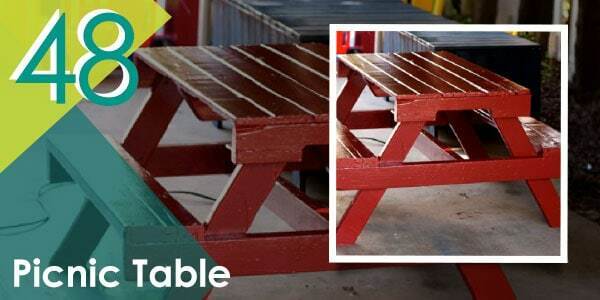 A Piece of Rainbow teaches us how to make these potting benches from pallets. They will save you money and the environment! Need to snooze for a bit? Make your daybed and let your pallet dreams happen. 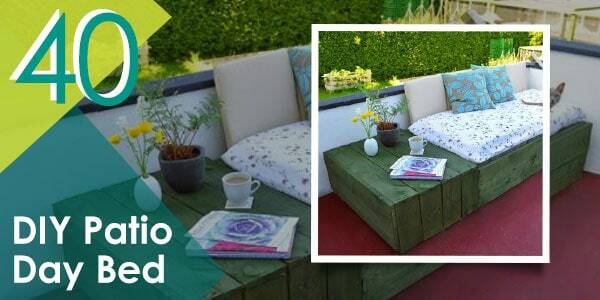 Head on over to Lovely Greens to find out how you can make this lovely daybed for your house. 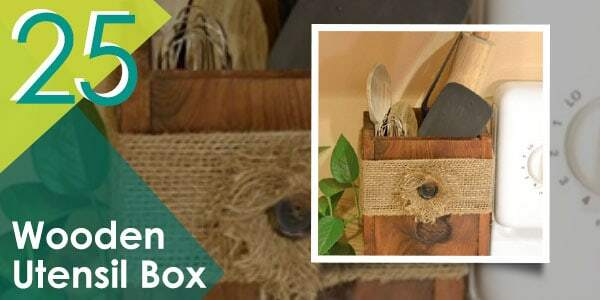 Try this simple but practical garden tool shelf project in your home and garden shed. This is another project from Funky Junk Interiors. Use the pallets as they are and put up a tall fence. 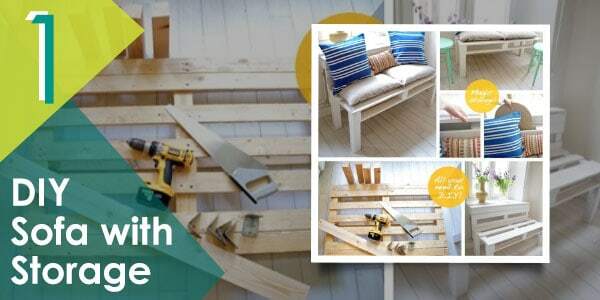 It will virtually cost you nothing—especially if you get your pallets for free. 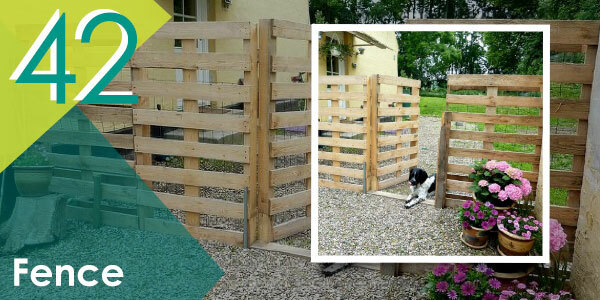 Hometalk member Siff S. shows us how it will look after you’re finished with your fence. If you don’t have a garden, you can use pallets to start out. 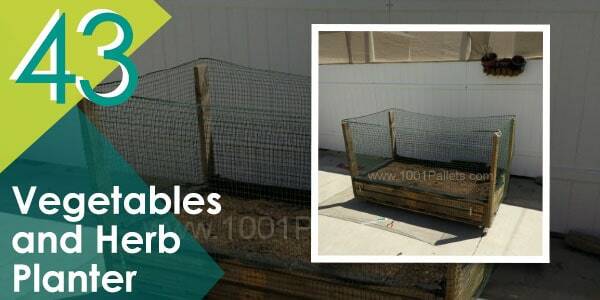 @guyavraham from 1001pallets.com shows how simple it is to get started on your vegetable and herb planter. 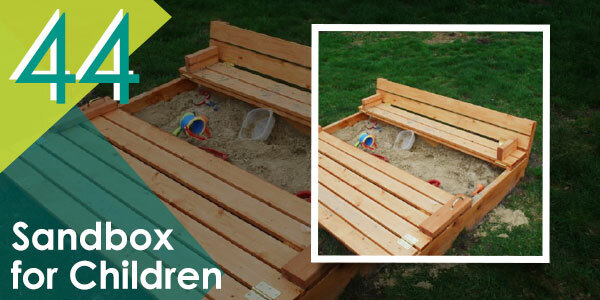 Impress your kids by making a sandbox that they will always remember. Ana White teaches us again how to make this sandbox with all the details. 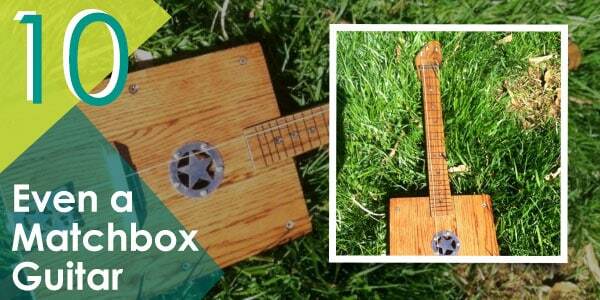 Let your kids experience and see the beauty of DIY with this project. 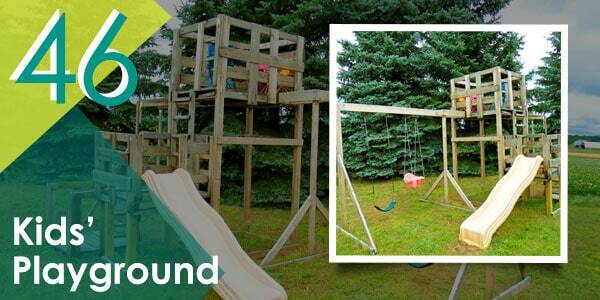 A Subtle Revelry shows how easy and simple it is to make this wonderful playhouse. Make this your ultimate goal this year and make your kids happy every day for the rest of their childhood. If you are up to the task, you can ask Elizabeth, the Frugal Mom Eh!, on how they conceptualised and built this mammoth of a project. 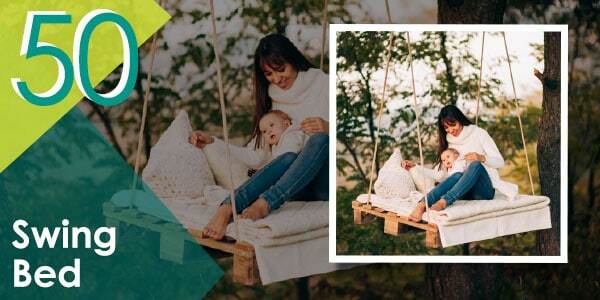 You made a swing bed, setup a swing chair too! Instructables member @millsy2254 teaches us the directions to make your own. You can leave this piece of furniture and not worry about it because it is so cheap and easy to make. Ana White is solid when it comes to ideas on what to make from pallets. 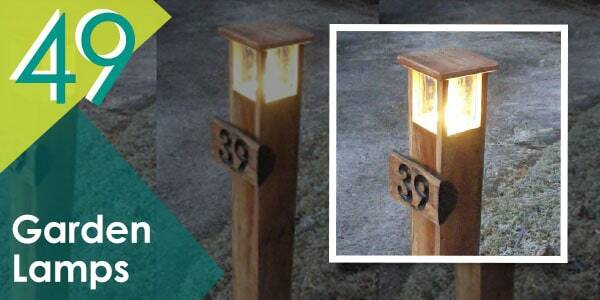 Light up your garden with these unique DIY lamps. Ian Anderson posted this on Handy Crowd and intended it for the winter, but there’s no problem if it stays in your garden all year long. 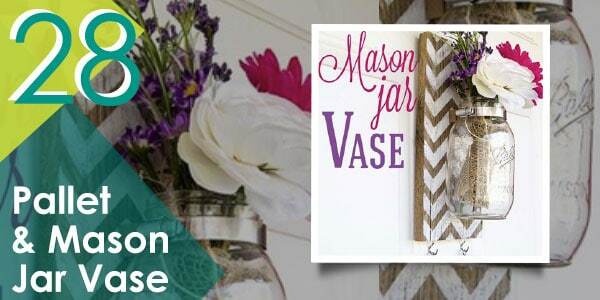 Say hello again to pallet and mason jar partnership! Relax in the most comfortable way with this project. This is my personal favourite, which is why I saved it for last. A big up to the girls over at The Merry Thought for making this project. Pallets are not just a piece of wood. To anyone with a creative mind and the will to put in time, pallets could mean the greatest resource for your DIY needs and projects. 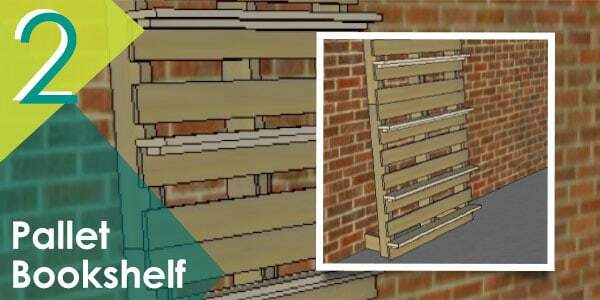 As you have seen, you don’t need a lot of tools to start your pallet project. You can start simple and then when you get up to speed, you can start exploring the bounds of your creativity and DIY skill. What do you think of the list? Do you have any other ideas that would make a great and inspiring project? Let us know in the comments below! 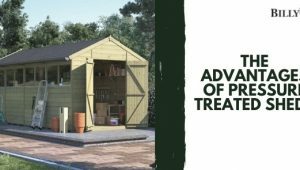 How to build a pig enclosure from pallets – This wonderful guide provides a step-by-step process of building a pig pen from used pallets.